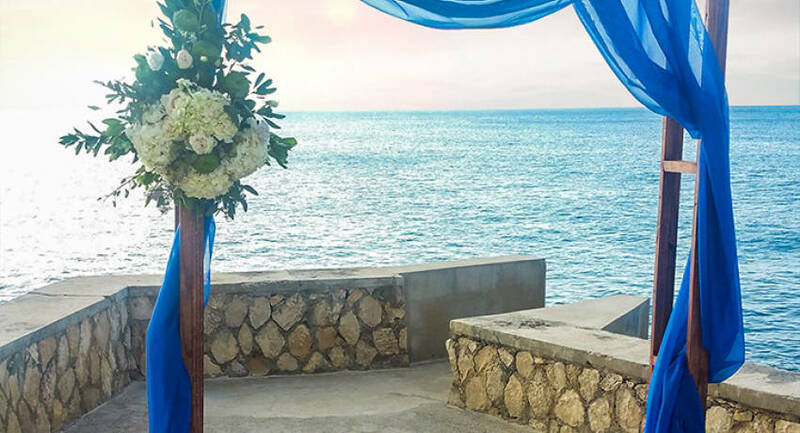 Imagine saying “I do” with the Caribbean Sea and Sunset as your backdrop. 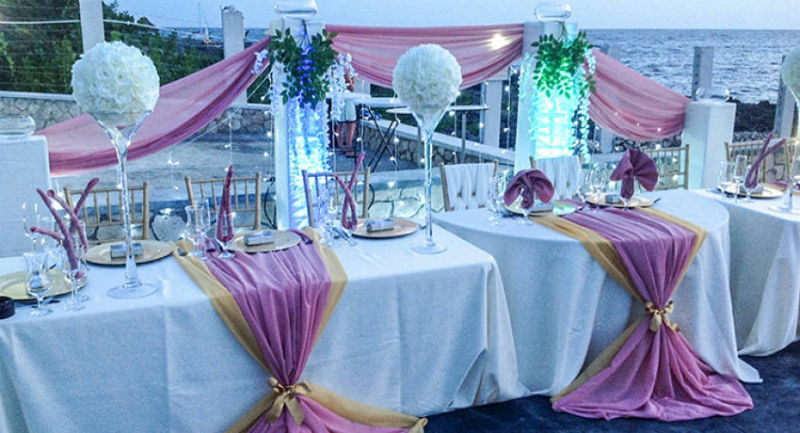 Nature is one of the best decorators and the panoramic view from the cliffs of Le Mirage Resort is perfect to complement your wedding. 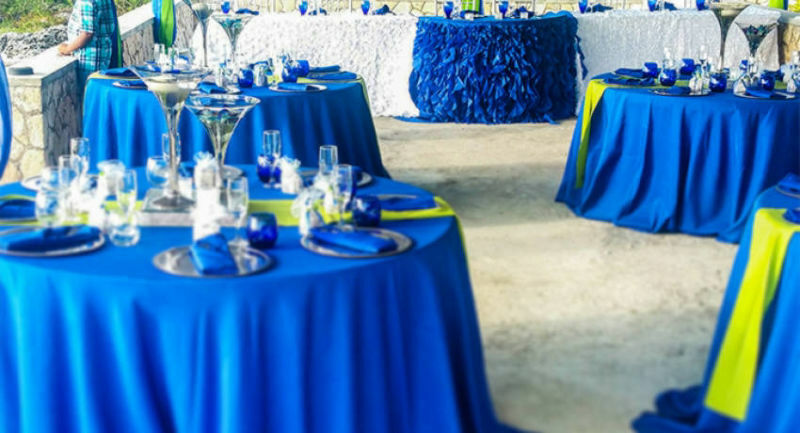 Come take God’s creation and make it into your own, let Le Mirage be the foundation on which you build your dream wedding. 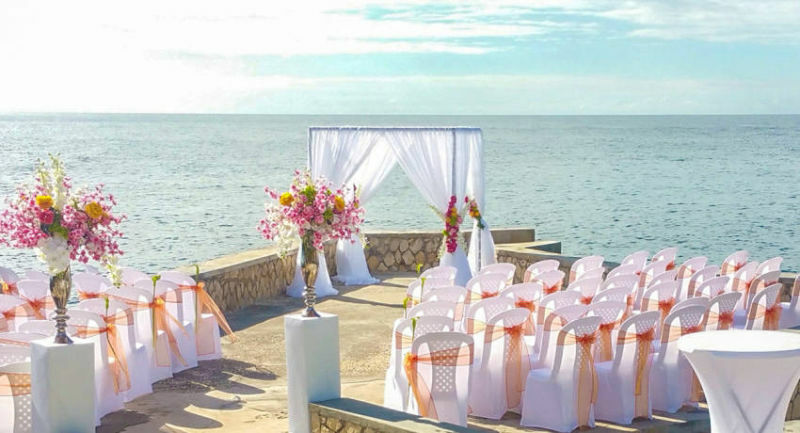 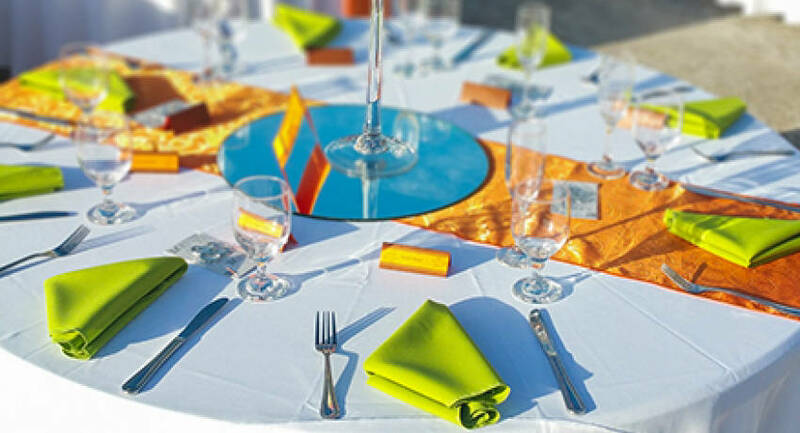 Our spacious venue holds up to 80 persons and the ceremony, reception and cocktail can all be comfortably held on our cliffside. Get beautiful wedding pictures and videos that stand out and set your wedding apart from others. 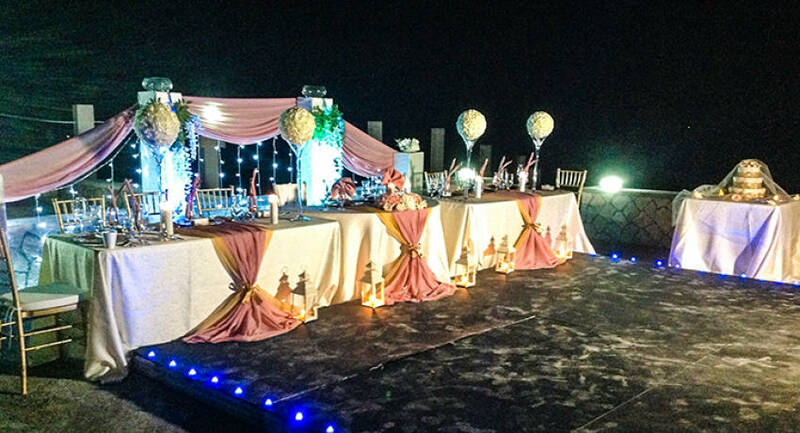 So grab your wedding planner, book Le Mirage Resort and make the wedding of your dreams a reality. 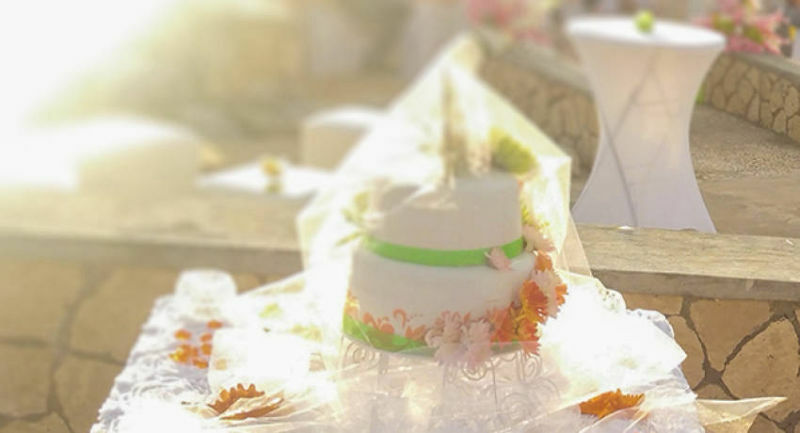 Wedding guests are offered a 30% discounts on Room Rates. 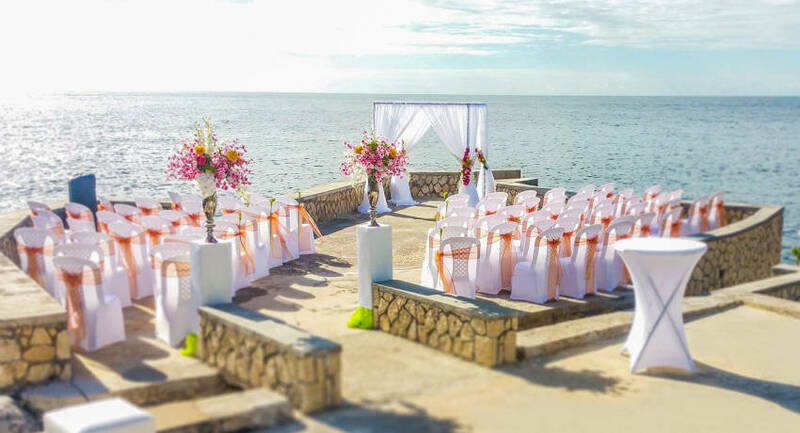 Free Parking for wedding guests. Venue Access from as early as 8:00 am until reception is over.